Fog-shrouded streets conceal a myriad of crimes - but not all of them are a Kindred's doing. In the greatest city of the empire, untold horrors breed in cobbled alleyways and scheme on the estates of the Kindred gentry. For every exaltation Prince Mithras receives, a myriad of evils fester behind the scenes, and it's only a matter of time before they boil to the surface. To follow up on the comments below, it would be very nice to have this edition also on paper, especially for us bookworms. Why are this not Print on demand? 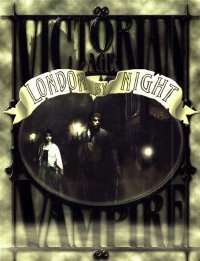 Could be cool to have all three Victorian Age Vampire books in real paper. Are there any plans to bring the Victorian line back into print, as POD or traditionally printed?